Open Source movement is seeing a lot of excitement this week. Hot on the heels of the much anticipated release of Firefox 3, openSUSE has released their shiny new version openSUSE 11.0 today. openSUSE 11.0 is in the wild now with almost 200 new features specific to openSUSE, an awesome new installer, a faster package manager, KDE4, Gnome 2.22, Compiz Fusion and much more than I can list here. I have been running openSUSE 11.0 beta for a week and love every bit of the improvements made. Plus, with KDE4 coming out with a stable release, you could get openSUSE 11.0 with KDE4 out of the box. As much as I’d love to do a full review of openSUSE 11.0, some of my trusted sources have already done so and much better than I can. So, I am going to point to some excellent resources if you’d like to read up on this new version! 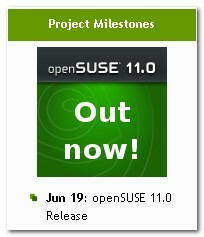 The above links will inform you of all things openSUSE 11.0. I will try to post a follow up post with little tricks and tips if there is enough interest in your comments as I don’t usually talk much about Linux here. To help avoiding over loading their servers, it is recommended to use the mirrors when possible. Scott Morris of SUSE Blog has put together a nice list of package repositories you can add to YAST. If you can’t find a more recent package via YAST, openSUSE Build Service might have it. I found this tutorial referenced by Scott very helpful in setting up my openSUSE with codecs, video drivers and the applications I need. If you get stuck with anything, there is always the openSUSE forums to get help from. At the moment I use Linux for my desktop only at work as it well suits the tasks i do. 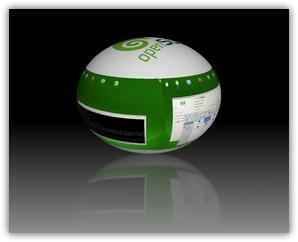 But, with openSUSE 11.0 I am seriously considering making the switch in my home desktop as well. Especially with the release of Wine 1.0 this week, I could run many of my Windows only applications in Linux as well. Based on previous usages, OpenSUSE is really a good user based Linux distro. Beginners will absolutely love its simplicity. I’ll have to check it out. I’ve not been to fond of previous linux incarnations but I don’t think I’ve tried this one. beths last blog post..No it’s a transformer. Syahid, that’s so true. Linux is getting easier and easier to use but I still haven’t been able to use it as my primary desktop. Beth, this one comes as a Live CD as well so you can try it before you invest the time to install it. Would love to know what you think after trying it. I love the Live CDs they’re putting out these days. Makes it so much easier to take different distros for a spin and see what you like best. I haven’t had a chance to check out Ubuntu’s latest yet. Wolvix is really impressive, I think that one’s got a future. I’ve heard a lot of good things about OpenSUSE. I’ll have to try this one out. I’ve got a few Windows apps I just can’t live without. I’m trying to decide whether I want to run Windows on Linux with a virtual machine or on a Mac with Parallels. You should also understand that as you are building muscle you may be shedding inches Prada Online Shop.To a large part we are what we eat When it comes to diet and fitness Chanel Shoes.although there may still be a few harmless pockets left behind rafters and joists in the attic and Juicy Couture Uk.That will typically be on the third day you will be allowed to move back in Chloe Shoes.They’ll take the painful work out from the picture Chanel Wallet.will let you to enjoy the rewards with none of the time and effort Juicy Couture Charms.Do not measure your progress by the scales alone or you will observe deceptive results Chloe Bags.The reason for that is quite simple I guess you can understand Juicy Couture Tracksuits.provided that you depict the type of picture you wish for your firm Louis Vuitton Handbag.When YouTube viewers sign on to the website to look for related information about a specific Chloe Handbags.